Inspired by colorful flecks of sea glass found at the beach, this multi-strand bracelet brings a beautiful wash of color to your collection. 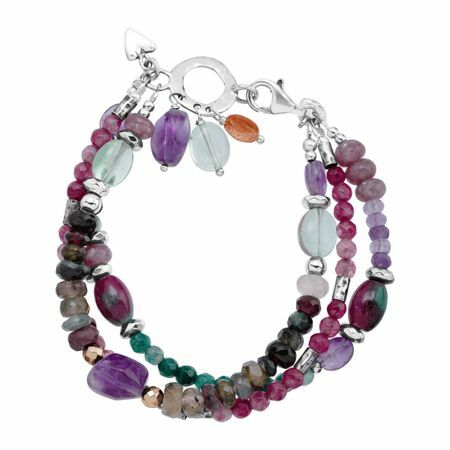 A variety of natural stones are strung along this two-strand bracelet, accented with dangling beads at the end and crafted in sterling silver. Bracelet measures 7 inches in length and features a lobster clasp. Piece comes with a ".925" sterling silver stamp as a symbol of guaranteed product quality.